How to find the hottest product opportunities on Amazon right now. Product selection is absolutely critical and you’ll learn the latest strategies for making sure you choose the right product the first time. The exact process we use to source any product in any market at the best possible prices. Getting good prices, especially when sourcing from China, is incredibly simple when you know what you’re doing. After this live workshop, you’ll be able to source any product like a seasoned expert. Advanced Amazon product listing optimization strategies to produce sales for your new product FAST as soon as it’s live on Amazon. Optimizing your Amazon product’s keyword targeting, images, bullet points, and description are all critical to your success. We’ll cover exactly what you need to produce sales even before you start the real marketing! The newest tactics for launching a brand new product on Amazon. Produce sales the first day your product is available for sale, outrank competitors, and start producing cash flow fast with what you discover in the Product Launch section of this live workshop. Our proven system for scaling sales of any product on Amazon that anybody – even with zero marketing experience – can use to produce incredible results. The best way to promote a product on Amazon has changed a lot. During this live workshop you’ll get the latest of what’s working right now to rapidly scale sales of a brand new product. Plus much more! We’re covering everything you need to start and scale your own business with Amazon from $0 to $100,000 and beyond! Can’t attend live on Saturday? No problem! Your registration includes full access to the recording of Saturday’s workshop, access to the detailed slides, a recording of the full live Q&A session, and the special bonus (see below). So even if you can’t make it live, you can still get everything you need to start and scale your business on Amazon! The full two-hour live training workshop on Saturday, February 18th, 2017 at 9AM Central Standard Time. One hour live Q&A session following the live training workshop. 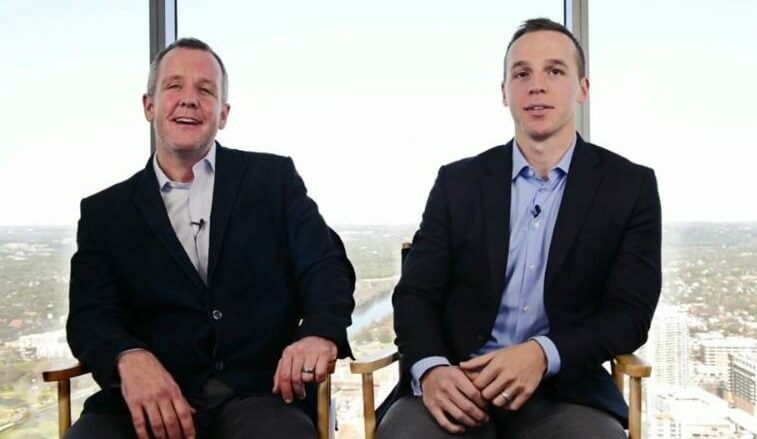 Ask any queston about this business and Matt and Jason will answer live! Access to the recording of the live training workshop. This is perfect if you can’t make it to the workshop live or if you simply want to rewatch parts of the workshop while you build your business! Access to the detailed workshop slides for quick reference and implementation. I am ready to partner with you So hook me up with LinkedInception!